Britain’s parliment | Notes from the U.K.
Let’s talk about how the British Parliament, in all its majesty, passes a bill into law. We’ll skip all the sensible stuff that comes first–or that should, although you have to wonder sometimes. That’s stuff like researching the need for the law, the impact it would have (expected and unexpected), and the result of using this set of words as opposed to some other set. That sort of thing. Or failing all that, how it’ll play on the 6 o’clock news and what it’ll do for your career. We’ll also skip over the politicking. Let’s get straight to the vote. Irrelevant photo: A tree. 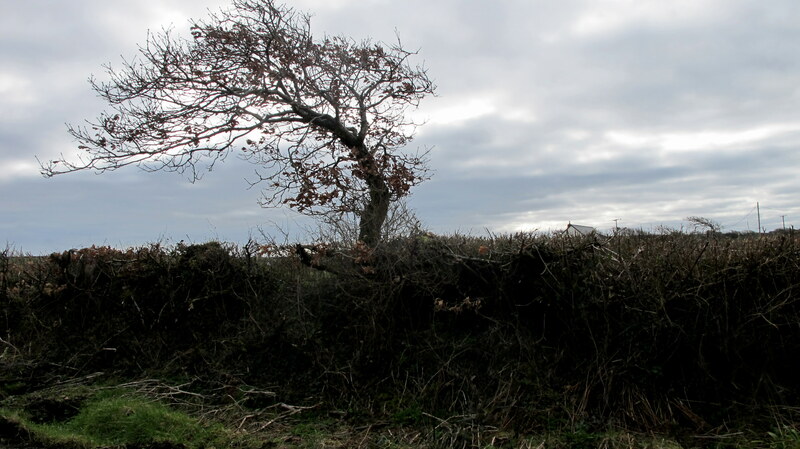 Pointing–as trees around here do–away from the coast and its winds. When a bill comes to a vote, the first attempt to pass it is a voice vote. That doesn’t mean each person being called on and responding individually. It’s a sort of mass bellow. The Commons (I don’t know about the Lords–they don’t appear as often on the news) bellows like a herd of mistreated cows. A British politician needs a good set of lungs. In the Commons, they vote either aye or no. Why don’t they use a matching pair of words, either aye and nay or yes and no? Because that’s not how they do it. How things are done is very important around here. There’s a history to that clearing. This is Britain. There’s a history to everything. In 1771, Thomas Hunt, who wasn’t a Member of Parliament, strategically placed himself among the MPs voting no on I have no idea what, and his vote was counted, the clever devil. What’s more, he turned out to have done this before. Or so says Wikiwhatsia, although I couldn’t confirm it or find the missing pieces of the story. Treat it as urban legend if you like. So they sweep anyone who doesn’t belong in the lobbies out of the lobbies, no doubt turning up all sorts of riffraff in the process, from mice (the place is infested) to bloggers. Then the MPs file into their separate lobbies: right (from where the speaker sits) for aye and left for no. Now let’s check in with the House of Lords, where they do things differently because they’re Lords and it’s important to distinguish themselves from the House of Riffraff. The Lords don’t vote aye and no, they are content and not content–or as Parliament’s website puts it, Content and Not Content, with glorious capital letters. These at least have the virtue of at being a matching set, even if it sounds like their users are making overarching statements about their emotional wellbeing. If the voice vote isn’t clear, the Lords don’t clear the lobbies, they clear the bar. What bar? Why, the bar of the House. Do they serve alcohol right inside the Lords’ chamber? Not inside, no. It’s a railing. A railing that visitors aren’t allowed to cross when the Lords are in session. And to prove that the Lords are classier than the Commons, the bar in the Commons is nothing but a plain old white line. Don’t you MPs wish you had a railing? According to Wikiwhatsia, the Lord Speaker announces a division by saying, “The Contents to the right by the Throne, the Not-Contents to the left by the Bar.” At that point the Contents and the Malcontents file into separate lobbies, just like the riffraff in the House of Commons. Wait a minute, though. What throne? Why, the throne in the House of Lords, of course. The House of Lords keeps a throne on hand for the queen or king’s yearly visit at the opening of Parliament. The rest of the year, it’s used by the mice. Okay, I’m guessing about the mice using it, but I do know that in 2017 Parliament spent £130,000 to get rid of mice and moths and assorted other creatures who weren’t (as humans calculate these things) supposed to be there, and I’d be surprised if it got them all. There’d been building work. It had sent the mice scurrying and the number of sightings had gone up from the previous year–411 as opposed to 313. Yes, someone counts mouse sightings. The unreported ones are counted telpathically. A few MPs took matters into their own hands and declared an informal Take Your Cat to Work Day (or week, or year), although no one thought to call it that. And they got their hands slapped for it–the ”it” being bringing the cats, not missing the chance for a joke. As the Serjeant at Arms explained, “This rule is in place because of the duty of care that would arise in relation to animal welfare and the health, safety and wellbeing of members, staff and visitors on the parliamentary estate.” Translation? Cats are only there because humans bring them, so we’re responsible for any trouble they cause to humans or mice, or that humans or mice cause to them. We can’t be blamed for what the mice do, however, because we’re trying to get rid of them, and we’re doing everything short of bringing in cats. But we were talking about the throne. Parliament’s website says, “The Sovereign’s Throne is one of the most important items of furniture in the Palace of Westminster. The elaborately carved woodwork is gilded, inset with rock crystals and upholstered in sumptuous red velvet and intricate embroidery.” And, I’d add, garlanded with sumptuous prose. If you want to see it, follow the link. I’d call it a little over the top, myself, and if someone inflicted it on me I’d hide it in the garage. It’s just not a good match for my living room furniture but you, of course, might feel differently. It is not as heavily garlanded in sumptuous prose as the monarch’s throne. And that inch it’s missing? It’s a highly symbolic one in case the consort’s tempted to forget who’s who. Now we need to backtrack a bit, because not everyone who votes on a bill has been sitting in the chamber, listening to the debates. Debates are dull. Some are full of rhetoric. Some are even full of facts, and what’s duller than facts? Many a deadly speech has been delivered to a nearly empty chamber. So has many a rousing one. The folks who don’t need to be there aren’t there, and from the look of the chamber not many people do need to be. Why debate issues when almost no one’s listening? Because that’s how it’s done. Because it gives everyone the nice warm feeling that they’re doing their job and that the country’s being run well. Or if they’re in the opposition, that it’s not being run well and they’re protesting like hell. Also because they get printed in Hansard. So both the Commons and the Lords ring a bell to summon all the straying politicians from their offices. And those bells ring not only in Westminster but in the surrounding pubs and restaurants where politicians are regulars. That’s a total of 380 bells, one for every day of the week with 15 left over to go play in traffic. Once the bell has rung, the MPs or Lords have exactly eight minutes to lock their office doors or slam down their drinks and fill their pockets with the mashed potatoes they were saving for last and rush to the right (or left) lobby before the doors are locked. Because they will be locked. And if they’re late? Tough. No excuses are accepted. In other words, they get to corner all the people who’ve been ducking them in corridors and not returning their emails and phone calls. Such is the life of a politician. So, like many other arcane traditions, the division of the house continues. MPs can abstain by staying in their seats during a division, but it’s frowned on. They can, more respectably, pass through both lobbies. If an MP is too ill to go through either lobby but their party’s desperate for their vote, they can be brought to Westminster–at least once an MP was brought in an ambulance after a heart attack–and be “nodded through” if the tellers agree to it. The only two conditions are that the MP has to be within the precincts of Westminster and alive. My thanks to Bear Humphreys for suggesting this topic. Sort of. His interest was snagged by the bells and the eight-minute dash back from the pub and I got caught up in the preliminaries and the mashed potatoes. Still, I wouldn’t have found them without him. Fiction writer and blogger, living in Cornwall. Cornish Bird Blog It’s not just about birds and well worth a look. MarvellousAlbion An Italian who’s been living in the U.K. for 20 years.